When a relationship with children is ending in divorce, the matter of child support is frequently a challenging issue, especially when there are significant assets that need to be divided. Making a determination about what’s fair for the children in these situations can quickly become legally complicated. Here’s what you should know about how child support works when you and/or your partner are high-income earners or have significant assets. Basic income. Some high-earning people receive a base salary or other periodic, regular form of payment, in addition to other forms of income. Bonuses and Commissions. In addition to a basic income, many high earners may receive commissions or bonuses based on sales, personal or company performance, or other metrics. Bonus or commission pay can sometimes far exceed basic income. Expense accounts and allowances. Many companies provide transportation allowances, expense accounts, or other additional compensation that may be used to calculate net worth. Investments and other passive revenue sources. Income from rental properties, investments such as stocks or bonds, interest-bearing accounts, and other “passive” income sources can provide a significant boost to net worth. These aren’t the only sources of potential income. Your attorney will be able to help you determine what counts as income, as well as where to look if you suspect that your spouse is hiding assets from you during the divorce. 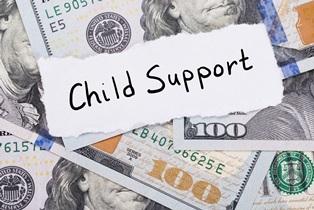 The State of Washington maintains a schedule of child support based on the combined income of both parents. However, this table stops at $12,000 of combined income per month, and many high net worth couples exceed that amount. In this situation, there are two ways in which the determination of the right amount may be handled. If you and your spouse can come to an agreement about what you each think is fair, you can present this to the court and seek approval. Every divorce is unique, as are the financial circumstances around it, so the court will look at the specific details of your situation to make a determination about what’s fair. Bear in mind that the best interests of the children will always be put first by the court, regardless of the convenience of the parents, to help ensure stability for the children in a time of life changes for the entire family. If you have questions about child support during your own high-asset divorce, the Law Offices of Molly B. Kenny is available to help you. We have decades of legal experience in family and divorce law, and we handle the diverse needs of our clients with professional service and care. To arrange for a private consultation in our Bellevue office, call us by phone, or use our contact form to send an email today.